Strata Infosys is fast growing company and has clients across the world, forging ahead in the global market which comprises a team of highly talented and goal-driven individuals. To achieve our vision we are looking out for talented, ambitious and have passion to excel. Job Description We are looking for Senior Developers who are experienced in all around .NET 2.0 / 3.0 / 3.5 development. Successful candidates must have good experience using SQL Server 2005 on the back end, writing data access layers with C# and ADO.NET, writing stored procedures and diagnosing and troubleshooting issues, as well as writing and maintaining pages in C# with ASP.NET. You must also have good working knowledge of Object Oriented Programming. Desired Candidate Profile New application development experience using ASP.NET, C#, ADO.NET, and Web Services. (last 6 months) with ASP.NET 3.0 or 3.5. Experience developing eCommerce applications and enterprise-scale Windows applications. Extensive experience with Visual Studio 2005 / VS 2005. Recent (last 6 months) experience with WCF (Windows Communication Foundations) in a production environment . 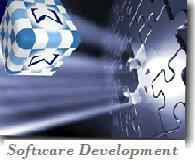 Experience with Windows application server technologies (IIS, TCP/IP, Active Directory). Experience writing SQL and performing basic database administration using SQL Server 2005 (SSIS). Solid experience writing SQL stored procedures and diagnosing and troubleshooting issues. Experience writing SQL queries and interpreting query execution plans. Experience with SQL table joins. Experience debugging complex, large-scale applications on the Windows web platform. Strong understanding of Object Oriented concepts, techniques and patterns - OOD / OOA. Experience with Source Control Systems & Tools like Visual SourceSafe.